We have all heard about, if not seen the stories where people have chipped or broken their teeth. Many of these are as a result of unfortunate accidents; but failure to take adequate precautions in certain circumstances can result in chipped, broken or cracked teeth. You may have chips in your teeth or maybe you know someone who has, it is a lot more common than you might think. For some this may be painless and nothing other than a cosmetic issue. For others the result of cracked a tooth can be much more painful and require more immediate medical attention. 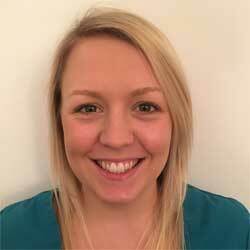 In this article we explain what the differences are between chipped, cracked and broken teeth. We then explain how these are treated by dental professionals as well as providing some useful associated information such as the cost of treatment. To best understand the consequences of damaged teeth, it is worth looking at what makes up the teeth. Don’t worry, it’s not all that complicated and we won’t get too medical. Essentially the tooth is made up of 3 layers, enamel, dentine and pulp. The top external layer is called enamel. This is the hardest substance in the human body, stronger than the bones that make up your skeleton. White in colour, the enamel is the visible layer of protection around the tooth. Most noticeable is the upper part of the tooth, called the crown. This is the top of the tooth that sits above the gumline and the part you and I see when we smile or open our mouths. 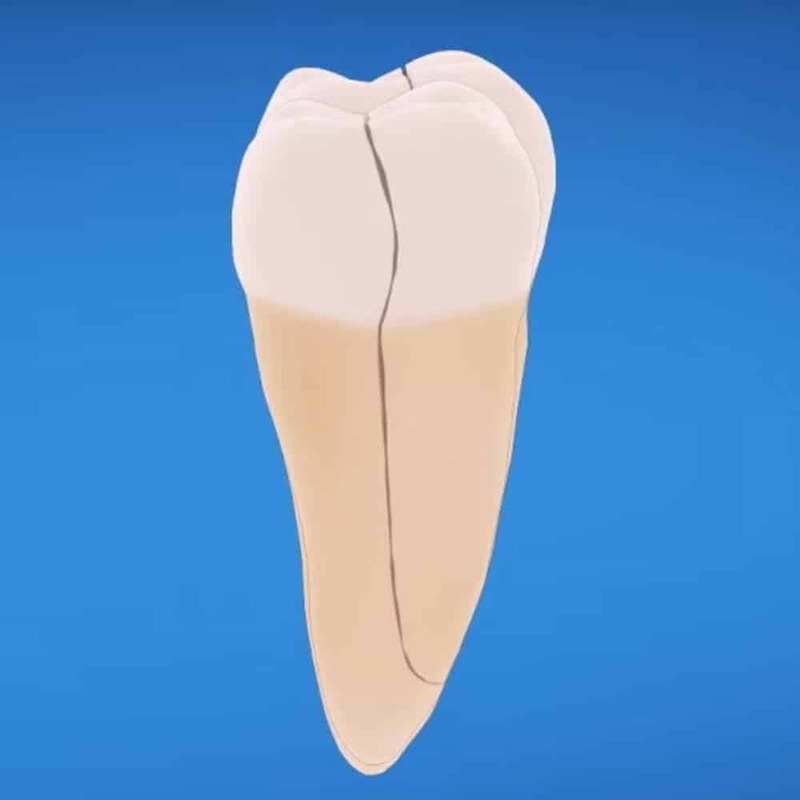 The bottom half of a tooth is made up of roots, these sit within the gum and jawbone. They are are not covered by enamel, but are covered by cementum. Cementum is similar to enamel, but a little softer. It is the enamel surface layer that is exposed to all that we put in our mouths and the part of the tooth we brush and floss clean. Below this is a softer tissue called dentine which forms the bulk of the tooth structure. Inside this, at the core of the tooth is the pulp, which contains the blood vessels and nerves. 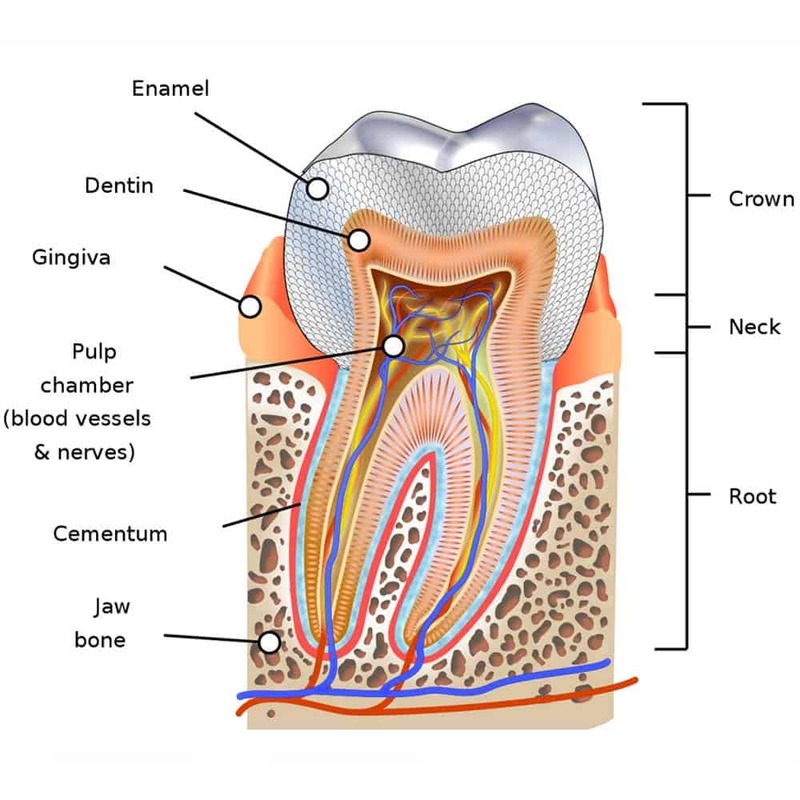 The dentine and pulp run all the way through the tooth to the roots that secure the tooth into the jaw. When a tooth becomes chipped, fractured, cracked or broken, it affects primarily the outer layer of enamel. However, in certain conditions the damage will involve the delicate dentine and pulp from the moment the tooth becomes cracked or broken. An example might be if the face and teeth take a blow or some sort of trauma as part of an accident. At other times, these inner layers will not be affected. But, should a crack or damage not be noticed or is left untreated, the pulp may become irritated or infected. The enamel on the surface of our teeth can withstand a lot of wear and tear. But as we live longer, expose our teeth to stresses like clenching and grinding as well as chewing on hard objects, the enamel can crack or break. When this happens it may well be immediately noticeable. You may hear it, feel it or even see it happen. At other times, you may not even realise. Damage to the tooth can be very small and hard to spot. In fact even x-rays and dental professional can struggle to find them. Although you might not know for sure the tooth is actually damaged, you get symptoms that you have not previously experience that would lead you to believe something is wrong. As odd as it might seem, a tooth can become damaged and have a crack in it, but it is quite common to have no symptoms at all. Whilst many do feel the tooth crack or break, the enamel does not have nerves in it like many other parts of the human body, so you will not always know that damage has occured, because the pain receptors are not present to alert you. At some point, symptoms will likely show, but it can be some time after the initial damage was done. Chewing is often what highlights the problem most as you may experience waves of pain as the pressure of the jaws coming together exert force on the damaged tooth. Left untreated, the pulp inside the tooth can become injured as a consequence of the pressure and exposure to saliva and bacteria that it would not normally come into contact with. Where the damage to your tooth is more obvious, you need to seek the opinion of a dentist to resolve the issues and prevent unwanted additional damage. The pain may be unbearable, therefore rinsing the mouth with warm water and using a cold compress on the outside of your cheek can prevent swelling and hopefully provide some comfort. Over the counter painkillers like paracetamol and ibuprofen can reduce swelling and stop it from hurting too much. If the tooth is broken, with a sharp or jagged edge, you can place a piece of sugar free gum over it to protect your tongue, cheeks and inside lips. Despite enamel being the hardest substance in the human body it is not completely immune to being damaged. You or others may use similar or different words to describe the damage done to a tooth, but, the damage is generally categorised in one of 3 main categories. Chips to the teeth, or teeth that have been chipped are typically the least significant from a medical perspective. Smallish pieces of tooth that actually break away. Little or no pain often. More damage to the way the tooth looks rather than affecting the function. Normally, just a small amount of enamel has been lost and the dentine or pulp are not exposed. Cracked or fractured teeth are more serious and can hurt more. Often the crack runs through the enamel and into the deeper layers of dentine or pulp. Often the most serious tooth damage, most often as a result of serious impact trauma. Larger pieces of the tooth physically broken. Exposure of the softer inner tissues of the pulp. More severe pain, bleeding and discomfort. All damage to the teeth requires the attention of a dentist. This is not only to resolve the problem present, but at least check that the damage is no more serious than it may seem. Broken teeth may require attention the same day, whilst those with chipped teeth can normally wait 24-48 hours. With the exception of more extreme scenarios, a damaged tooth, be it chipped, or physically cracked can normally be repaired. Be aware, teeth do not heal or repair themselves like bones or the skin does. This means that damaged teeth require medical intervention to save or restore them. Chewing hard substances like boiled sweets, nuts or ice. Biting down unexpectedly on something hard, such as a pip or stone within fruits. Accidents where the face and teeth take the brunt of the impact from an object, be that falling over and hitting into something or something hitting you. Using teeth to open things, such as beer bottles. Whilst a perfectly healthy set of teeth can become damaged by biting down hard on something like a boiled sweet, all to often the root cause is actually decay. Decay is a result of improper oral hygiene. The bacteria in the mouth produce acids which eat away at the enamel. The tooth becomes weaker than they are naturally. The forces applied to the teeth as we eat or chew harder substances like sweets finally cause them to give way. Loose or weak fillings, teeth grinding and freak accidents can also be the cause of damage to the teeth. Some chips, cracks or breaks to the teeth are clear, there is no question about the damage. However, not all damage is immediately noticeable because the damage is very small or not visible without magnification or is below the gumline, an area of mouth only visible with an x-ray. Irrespective of how severe the damage is or not, the first stage to getting treatment is an assessment. I think I have a chipped or broken tooth – should I see a dentist? If you think you have a chipped or broken tooth you should definitely see your dentist. If you are not in any pain you can wait until an appointment comes free. You may not even need any treatment, but it is better to get it checked out in case there is any decay. The dentist needs to see what they are dealing with and assess whether the damage is purely cosmetic or whether it is more serious. To help with the diagnosis and resulting treatment you can expect the following. Questions about your dental history, from your last check up date to whether you grind your teeth or not. Have you bite down to assess pain when applying pressure. A visual examination of the mouth and affected tooth. Magnifying tools along with a ‘dental explorer’ may well be used to find any cracks and see it the explorer catches on the edge of a crack. A dental dye may be used to help highlight cracks. X-rays are a very useful tool to give another view of the teeth. They do not always reveal the crack. Sometimes other signs of a crack may show up such as the health of the pulp or possible bone loss. Do be aware the approaches taken for diagnosis will differ depending on whether the symptoms and whether the cracks or tooth damage is immediately noticeable. If there is no damage to the roots or internal layers of the tooth your dentist can begin to identify which cosmetic technique is the most appropriate for your case. Whilst for those cases where the damage is more severe options will be presented for saving and restoring the tooth. Repairing a chipped tooth can be easy and painless if the chip is within enamel. It is well worth visiting your dentist to find out your options. The suggestions for treatment, and best course of treatment, will all depend on the cause and extent of the damage. The following are the 6 main approaches taken by dentists to repair teeth and restore a smile. 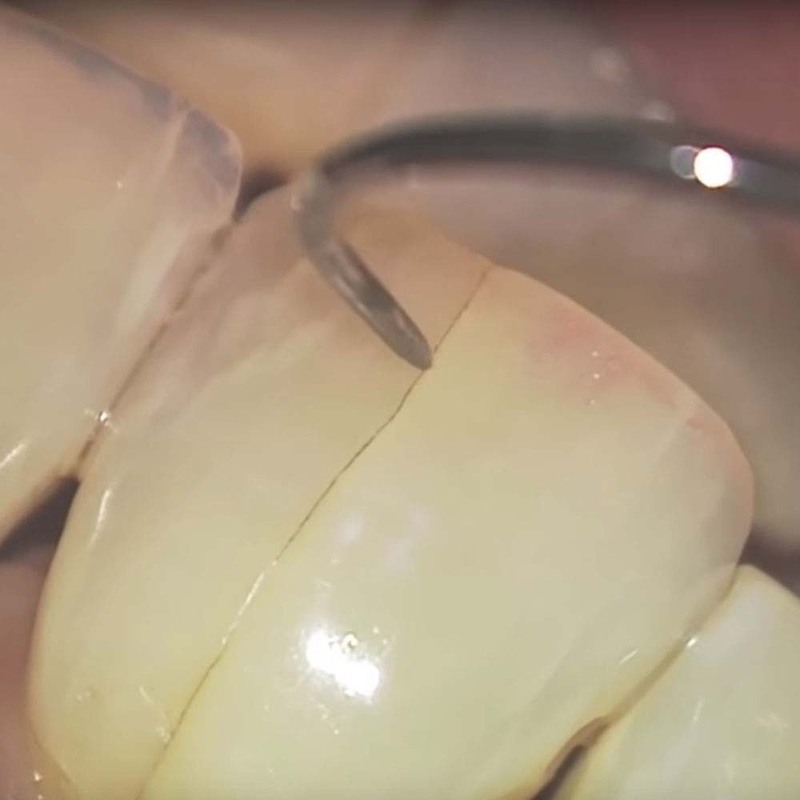 For the smallest of chips, the rough or sharp edge is removed through a rounding and polishing procedure that blends the crack or chip into the natural look of the tooth. Specially designed dental materials are positioned and glued into a chip or crack. Then shaped by the dentist, the agents are hardened and the finish perfected to give the restoration a natural looking finish. Normally crafted specifically for each patient they essentially mask the damage and are suited to chipped or cracked teeth where the remaining structure and health of the tooth remains strong. Learn a lot more by reading our article dedicated to veneers. 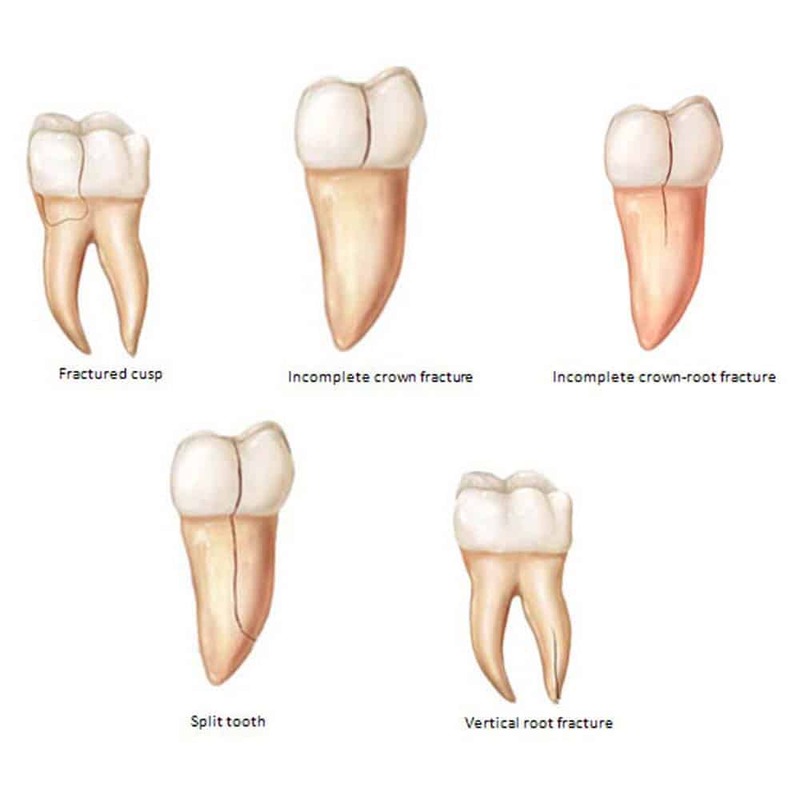 Where the damage to the tooth is more severe, either a partial or full artificial tooth crown is precision crafted and then bonded to the tooth to give extra strength and retain as much as possible of the natural tooth as possible. Often necessary to ensure the success of root canal treatment. Find out more in our article on dental crowns. 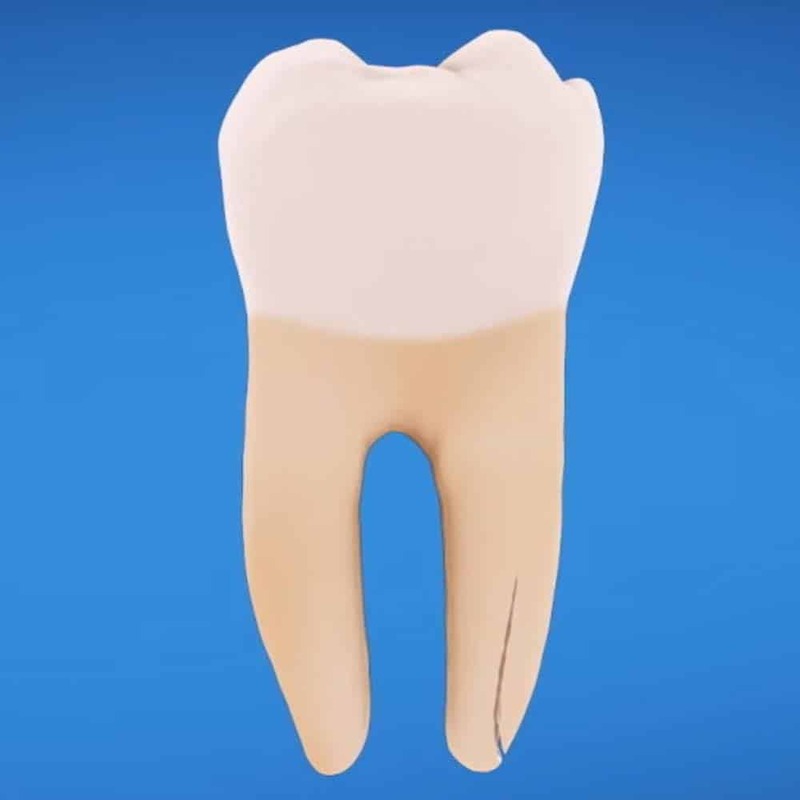 For the more severe damage, where the internal structure (pulp) of the tooth has been damaged, the natural tooth root can be saved by this cleaning and filling process. Retaining the natural tooth root, the natural enamel tooth crown is generally weakened, requiring an artificial crown to be fitted. We’ve written more about root canal treatment here. For the most severely damaged teeth that cannot be saved by any of the other listed treatments, extraction is a last resort option. It will lead to a gap that will for the sake of your smile and confidence need some form of artificial tooth to be fitted, be that a denture, bridge or implant. Learn a lot more by reading our article on tooth extraction. Teeth do not heal like bone does, making the recovery job of the dentist more difficult. With prompt treatment by a professional, any of these procedures can help save the tooth and retain it in good shape for years to come. All efforts will be made to ensure long term success , but no treatment is a complete guarantee and complications may arise years later. Perhaps the most common of the types of tooth breakages, chips in the tooth can be quite small and barely noticeable, through to much larger and obvious missing pieces, that may well make you conscious about your smile. Whilst chips can exist in any tooth, it is the front teeth where chips are most noticeable as these are the ones you see and assess most of the time. Chips will normally just damage the outer layer of the tooth, the enamel. More often than not there is no pain associated with a chip in the tooth. However, it is possible the chip is larger and reaches and even exposes the softer tissues inside which would hurt a lot more. If it is causing you pain. It is affecting your confidence to smile and you do not like the way it looks. You have been left with a sharp edge on the tooth that is uncomfortable and possibly cutting other tissues in the mouth. You do not have to get a chip repaired if it is not causing you any pain, but getting it checked out is always worth doing. In most cases chipped teeth cause little in the way of lasting damage to the tooth, so they are simple to fix, no complex surgery is needed and the treatment is normally cost effective. 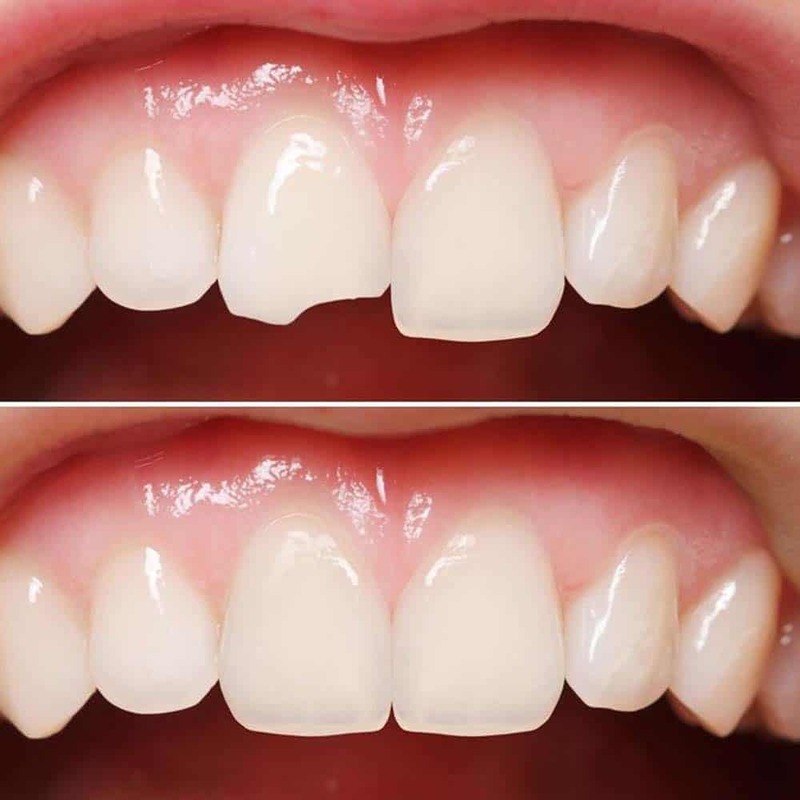 With the smallest chips where there is no pain or threat to the rest of the tooth, it is possible to have any sharp edges cleaned up by the dentist, using polishing tools or as it is more technically known, cosmetic contouring. The look of the smile may well be affected very slightly, but it might be too small to notice or you might not be that bothered about the way it looks. Where the chip is larger, it is naturally more noticeable and most will want to get the chip repaired for cosmetic reasons more than anything. You may well know exactly when and how the chip happened and if you are lucky, you may even have the part of the tooth that came away. Dental bonding or filling is the most usual course of action for a chipped tooth. Bonding the tooth allows the dentist to essentially rebuild the tooth. A tooth coloured composite material is used to achieve this. Having cleaned the tooth, then completed an acid etching process that roughens the tooth surface at a microscopic level, a medical grade adhesive is applied. The composite bonding material is then added to the tooth and moulded to the perfect shape to restore the natural look of the tooth. A special light then cures the bonding agent and the adhesive to ensure it sticks in place. For larger chips, where bonding is not suitable a veneer is an option. A little more serious than a chipped tooth, a cracked tooth will typically require more attention from a dentist, depending on the severity of the cracking. Whilst you and I might use the term cracked teeth, dental professionals will label or classify the cracks differently based on how long and where the cracks exist. Affecting only the outer enamel of the tooth, the are very common in adults. Posing little threat, they can actually be left untreated a lot of the time. There is no pain and they do not affect the tooth aside from the slight imperfection in the look of the teeth. 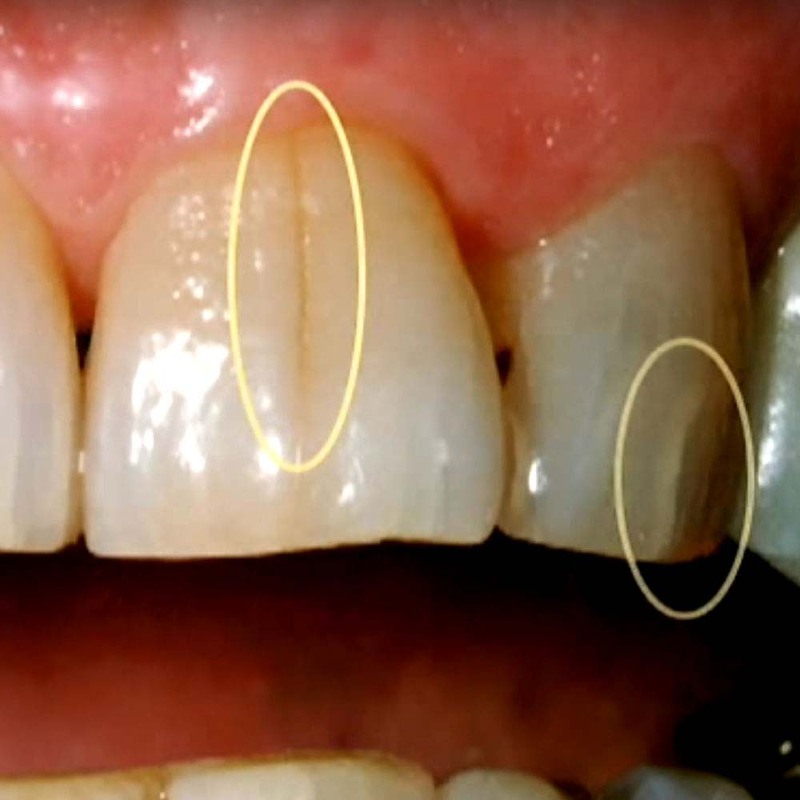 In some cases, the dentist will often run their polishing tools over the crack to rid the surface of any rough areas. Craze lines will be monitored as part of routine treatment to make sure they are not harboring decay or getting worse. The cusp is the pointed part of the biting surface of the tooth. Fractured or cracked cusps often occur in teeth that already have a filling. The crack begins in the upper chewing area of the tooth, but spreads towards the root. Molars are well known for such. A cusp may actually break off, but rarely will this result in damage to the pulp and is therefore not normally painful. The use of a filling, inlay, or crown are the main treatment options. 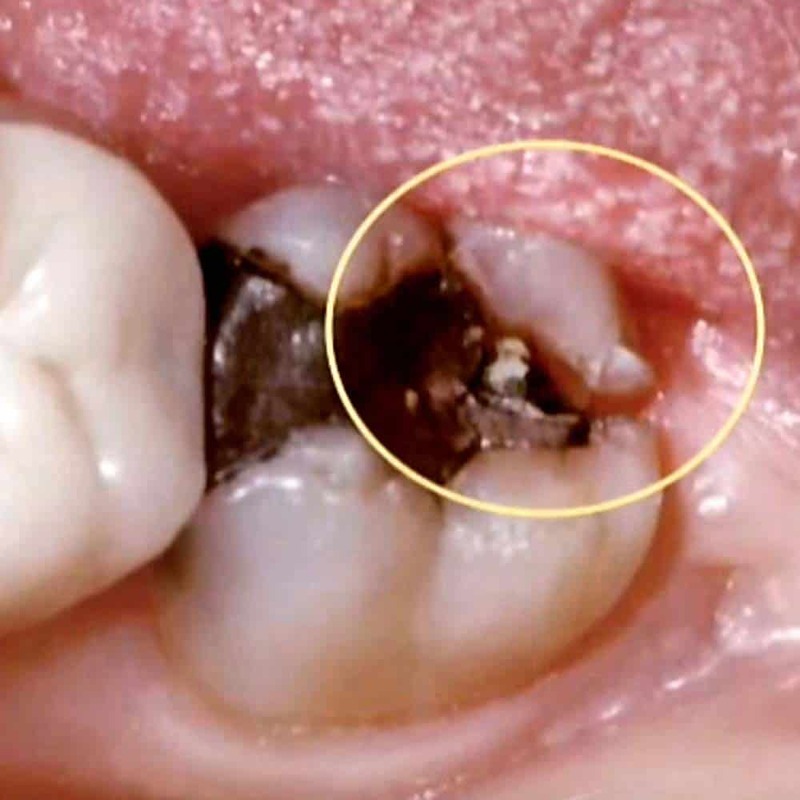 A typical cracked tooth is where the fracturing of the tooth enamel extends from the chewing surface down towards the tooth root, but has not yet separated the tooth into multiple pieces. 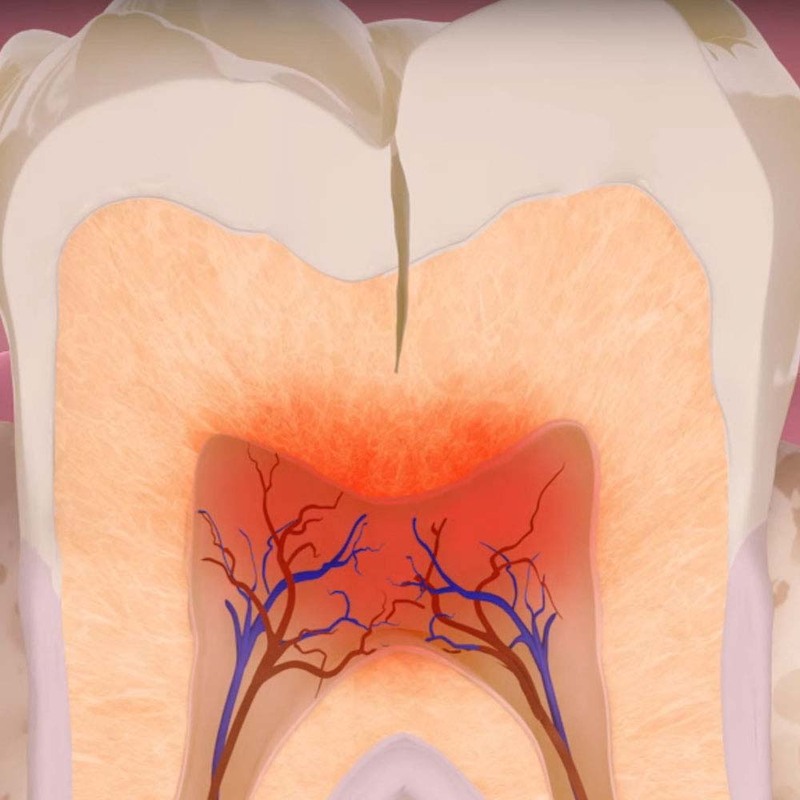 If the crack has made its way to the pulp, root canal treatment will be necessary to protect from further damage but the tooth can ultimately be saved. Should the crack be more extensive and go below the gumline, the tooth will likely need to be removed. This type of cracking tends to be quite painful as it will expose the dentin and possibly the pulp too. The crack will run vertically down the tooth with distinct segments that can be separated. Larger teeth such as molars with multiple roots are easier to repair than those split teeth with just 1 root. A split tooth is often a result of a cracked tooth not being treated and the crack progressing. The size and position of the crack will determine how much or if the tooth can be saved. 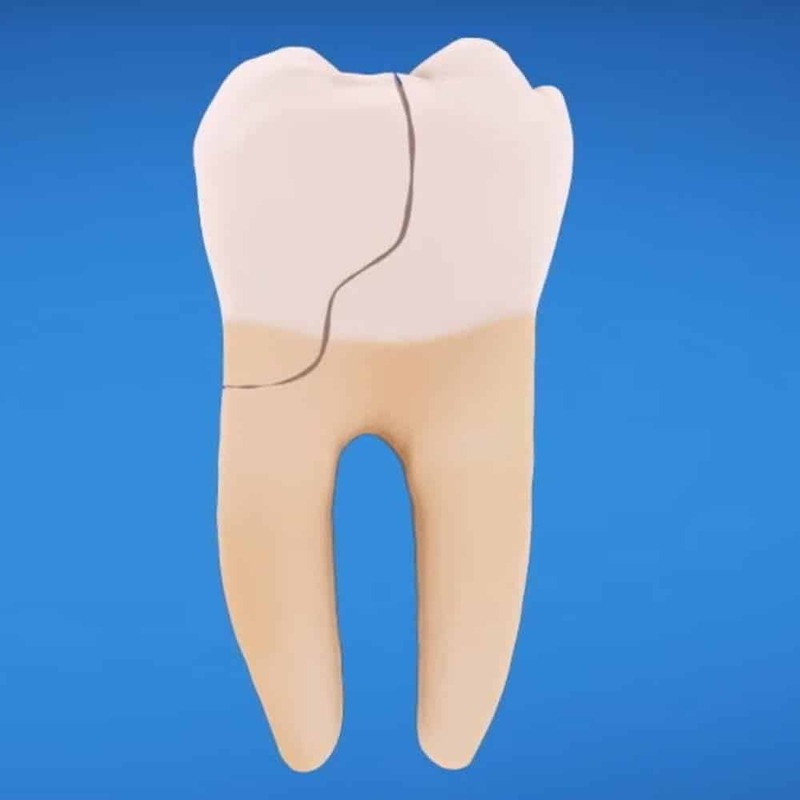 Beginning in the root the crack can spread up towards the chewing surface and through to the outer enamel of the tooth. They often show minimal signs and symptoms and may, therefore, go unnoticed for some time. Such fractures are often only discovered when the surrounding bone or gum becomes infected. The severity of the crack will influence the approach taken by a dental professional in repairing the tooth. For the smaller cracks, a filling might well be a suitable option. However, consideration will be made for the overall strength of the tooth. If the filling is possible but the tooth might be weaker still a crown or partial crown may well be considered. Where the crack has made its way from or to the inner tooth structure, it is more common for root canal treatment to be required. Root canal treatment removes the nerves and blood supply within the tooth and replaces it with a filling. This retains the natural tooth, but crowns are often necessary afterwards due to the weakened state of the tooth and reduce risk of infection with bacteria. Where treatment has not been sought or the crack is left untreated the chances of a successful restoration are reduced. Dentists will do all they can to save natural teeth, but in the worse case scenario, extraction may well be necessary, particularly in the case of a vertical root fracture. If your tooth tooth psychically breaks this is most often when you will really feel the pain and be all to aware of the damage. A large chunk or piece of tooth usually comes off. The pain and sensitivity is felt because in the case of a broken tooth, the dental pulp, the very core of the tooth has been exposed. The nerves and blood supply are coming in contact with with air, saliva and other substances in the mouth causing increased sensitivity. You might be a bit lucky if there is no pain. However, no pain does not mean no problem. If your tooth is broken and you are experiencing no pain, it can often be a sign that the damage to the tooth is so great or the decay that bad, the nerves and blood supply have already been destroyed. In this instance, you will usually want to seek emergency or rapid dental care, even if that is temporary treatment until such time as a specialist can perform the necessary treatment. A piece of my tooth broke off – shall I keep the piece of tooth? Yes. Any information you can provide the dentist with can be very useful. The pain and sensitivity that will likely ensue with a broken tooth so you will probably want to avoid eating as much as you can. If you can or want to eat, soft foods are a must and where possible avoid using the broken tooth to bite down onto the food. The exact treatment that will be used will depend on the break and if the pulp has been exposed. Bonding and dental veneers are 2 options for the front teeth in particular that can restore the cosmetic experience. As a break can influence the strength and rigidity of the teeth a dental crown is often a common requirement. With the molars, those large teeth at the back of the mouth, they have something called cusps. Making up the chewing surface of the teeth, they can break off, but the underlying tooth structure can remain in tact and it may not expose the dentin or pulp that sits beneath. In this instance, a partial crown, also known as an inlay or onlay can be used. Inlays are more comprehensive than a filling. It is not normally made or placed instantly like a filling. Made in a dental lab, the inlay is precision crafted to allow for restoration of the tooth, but not are extensive as a full traditional crown. If decay is the root cause of the break in the tooth, root canal treatment might be a option for repair or it might be necessary to extract it. 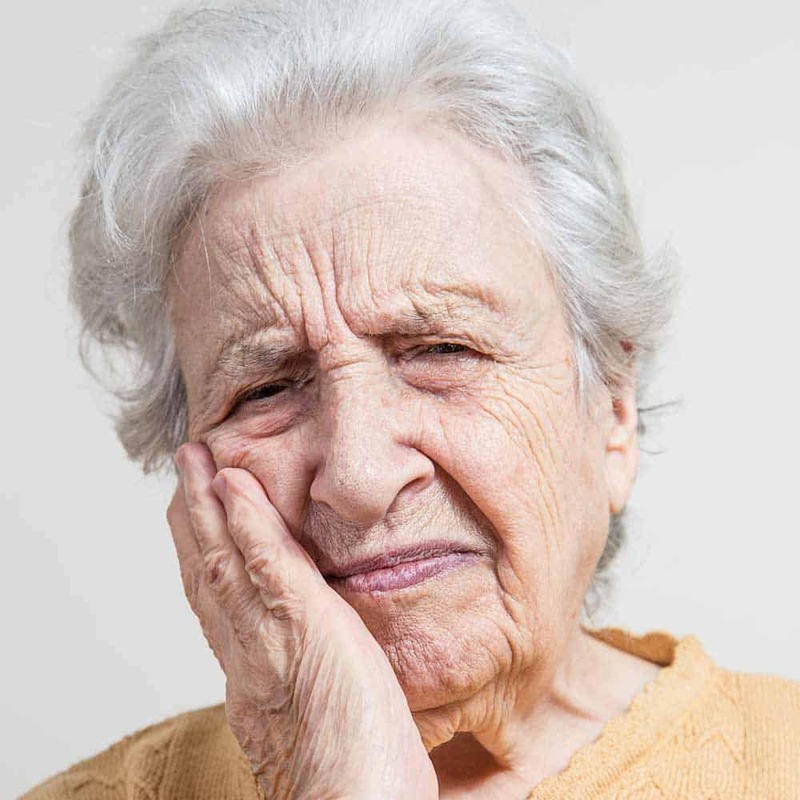 However, broken teeth are well known for being more problematic as they are more fragile and are susceptible to further breaks when being removed. The most common mistake people make when they have a broken tooth? Often people mistake a broken tooth for dental decay. I often have patients who think they have chipped a back tooth, which is actually hard to do, and then they don’t do anything about it! The problem with this is they decay won’t heal itself and ends up getting worse to the point where root canal treatment or tooth removal is required. When many of us think about damaged or broken teeth, we often conjure up an image in our mind of a smile that is radically different to that we have now. Multiple gaps and a creepy smile is perhaps what comes to mind. 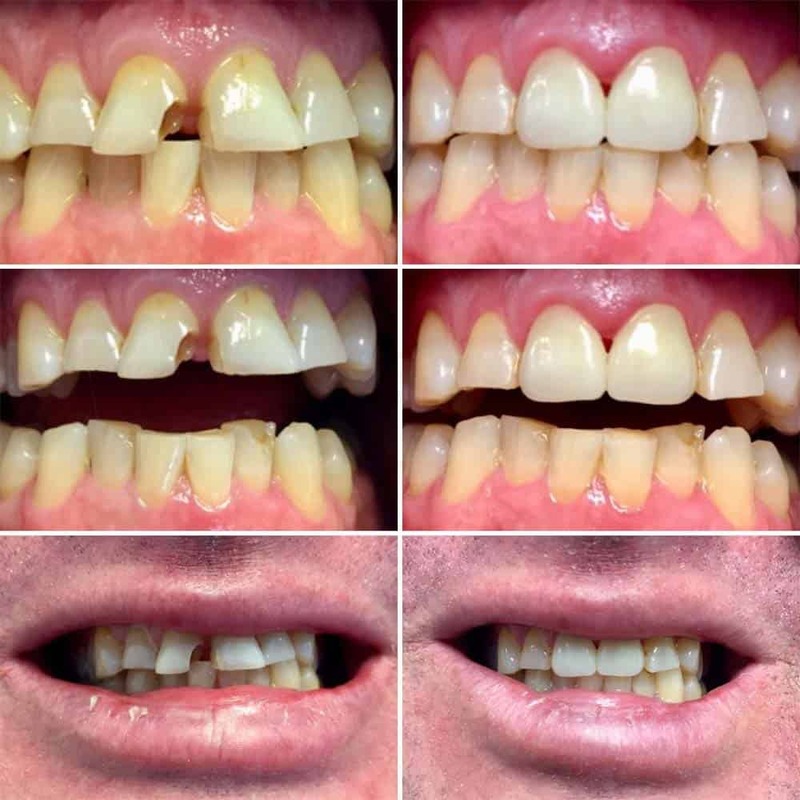 In the more extreme scenarios where removal of the natural tooth is necessary, or where the existing teeth require substantial repair, the result need not be as dramatic as you might think. Dentistry has evolved and whilst dentists will do all they can to save teeth, the options available to restore the smile are great. Dentures are the most common and affordable form of replacement teeth, with dental bridges and crowns being other options. Whilst the NHS give some good options, opting for private treatment gives some of the most natural and best options that are not available to NHS patients. In many respects, it can be ideal for you and the dentist if a crack is obvious. This way everyone knows what the problem and solution is. However, symptoms can suggest a cracked or damaged tooth, but the crack in the tooth is not immediately apparent. Cracked Tooth Syndrome (CTS) is a condition where the fractures is incomplete and the part of the tooth has not broken off. The fractures are so small that they do not show on an x-ray and the. They can be below the gumline and often occur in molars. The condition usually means you suffer pain when you bite and chew, but it will not happen all the time. The sensitivity felt may only occur when specific foods are eaten or you bite in a certain way. You may consult your dentist for treatment, but they have to find the cause of your pain. CTS can be difficult to diagnose as highlighted by the Journal of Pharmacy and BioAllied Sciences. It can be a painstaking process of elimination, going through different teeth, running tests to try and find the cracks. A tool called an explorer is often used. The sharp edge of this can catch on cracks and may exert a pain that you feel, which can can confirm or deny locations of the cracks requiring treatment. The dentist may shine a fiber optic light on the teeth or stain it with a dye to help search for a crack. If the location has been narrowed down, any fillings in the tooth may also be removed to enable better access and reaching the source of the problem. No matter how much damage has been done to a tooth, if you know that the damage has been done or that something is not quite right, you should go and see a professional as soon as possible to have it checked. The smallest of cracks can develop to become much bigger, more painful and expensive issues to resolve. Where the damage is a chip and no pain is being experienced, it might not be quite as urgent as a cracked or broken tooth. You should still ring for an appointment with your general dentist, but waiting 24-48 hours is usually fine. Where there is obvious pain or damage to the tooth, you should make your dental office aware so that the severity can be assessed and you can be booked in for an assessment. Most dental practices will have allowances within their daily schedules for emergency appointments. Although most dental offices have office hours that tend to be between 8am and 6pm, it is possible to get treatment outside of this time. 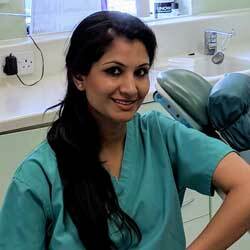 The exact process may well depend on whether you are eligible for NHS dental treatment or not. Even if you know your practice is closed, it is best to call. Many will have an answerphone message that will give instruction on what you should do for out of hours treatment. This answerphone message will likely give another number to call or tell you where to go for that medical attention. If they do not, you can within the UK call 111 NHS Direct for further medical advice. Alternatively you can use the find a dentist tool available on the NHS website. It lists local practices and provides contact information and details on whether they accept emergency appointments. If you are a patient of a private dental practice, they may well have their own guidance for out of hours contact. To manage pain, you might want to take over the counter painkillers such as paracetamol to ease your discomfort and if there is bleeding, applying a clean gauze over the damaged tooth is advisable. 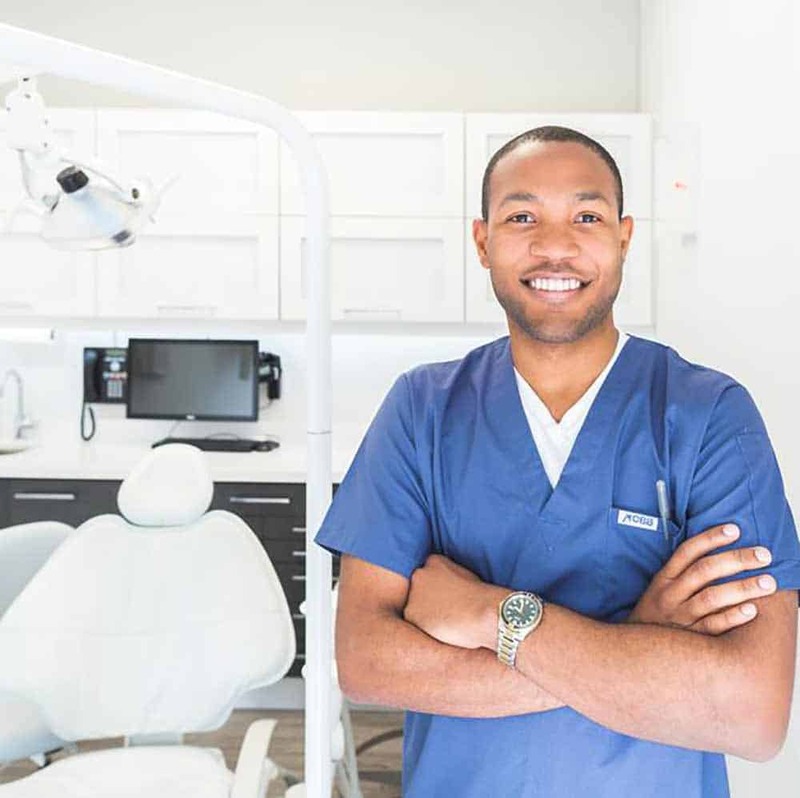 Once you see a dentist, be that with a routine or emergency appointment, it may well be necessary for you to be referred to an endodontist, who is specially trained diagnosing tooth pain and performing root canal treatment and other procedures relating to the interior of the tooth. For most of us, there is a cost associated with getting dental care in the UK. Those costs will differ quite considerably whether you are eligible for NHS dental care or opt for private dental treatment. Depending on the treatment that is required, will depend on the price you are expected to pay. There are 3 cost bandings for NHS dental treatment. Band 1 which is £21.60 (England) and £14 (Wales) at the time of writing will cover an examination, diagnosis (including x-rays) and advice on how to deal with the problem. However, it is more likely that for most suffering with any tooth damage will fall within Band 2, which is £59.10 (England), £45 (Wales). This includes fillings, root canal treatment and tooth removal. The 3rd band comes in at £256.60 (England)/£195 (Wales) and is the maximum fee you pay for any NHS treatment. This covers the cost of any crowns, inlays, bridges or lab work that might be needed, most notably with broken teeth. The beauty of the NHS treatment is that Band 3 is the highest price you will pay. So, if you have been diagnosed with needing root canal treatment and a crown, whilst the costs fall under band 2 and 3, you will only have to pay band 3 and not both. Unfortunately costing systems in Northern Ireland and Scotland vary and are closer to a fee-per-item, but information can be found on NHS Health Board websites. If the pain or damage to the tooth is so severe that you need to seek out of hours/emergency treatment, then there is a separate fee which is £21.60 (England)/£14 (Wales). Before any work is actually carried out, the dentist will usually explain what is necessary and you can decide whether you wish to go ahead with the NHS treatment or whether you want to be treated privately, as is the preference for some people. If you do not make use of an NHS dentist and seek private dental treatment for fixing a chipped damaged or broken tooth, the costs will be very different, subject to the work required to resolve the issue. You can find a solution for most things on the internet and this includes kits that you can use to repair your own tooth. Most of the kits that are available have been designed to fix teeth that have been chipped or broken without causing damage to the internal structure of the tooth. The repair is often temporary and will not last. EXTREME caution should be advised when using kits like this and we strongly advise staying well clear. 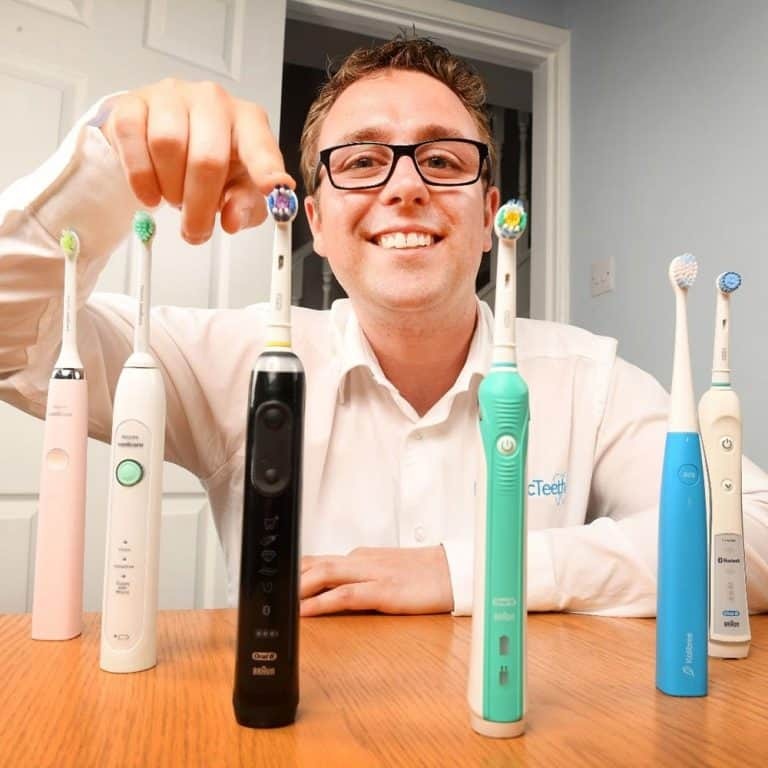 They may well work and be a cheap fix, but it is not always possible to verify the safety and reliability of these products like you can those from dental professionals. We question whether the risks are worth it. Whilst you may wish not to pay for your dentist to reconstruct your tooth if chipped, you should still get an assessment completed to ensure there is no other damage to the tooth, that is not immediately visible. Any professional dental treatment to fix cracked teeth will usually last for many years. Although, because the tooth does not heal like a bone does, these treatments are not guaranteed to last a lifetime and complications will occur in the worst case scenarios. The biggest risk and cause of complication is not getting a cracked tooth treated. Failing to get it treated can lead to infection, which will in time spread to the bone and gums, resulting in pain, dental treatment time and costs more severe than having got the crack or original symptoms checked out earlier. To avoid all chance of doing damage to your teeth, you simply could not live life. Avoiding hard boiled sweets and potentially dangerous physical contact sports are 2 options, but not ones we or most would recommend as all things considered the risks are relatively low. Our teeth are on the whole very robust and it is more a case of considering preventative steps rather than avoiding things all together. Most of these preventative things are fairly straight forward and ‘common sense’ advice. For example, it makes sense not to use your teeth to open bottles or product packaging. Avoid actively biting down on food and sweets you know will be very hard, such as boiled sweets. Do not grind your teeth or clench them. If you get involved with contact sports such as rugby, boxing, wrestling wearing a mouthguard is a good step to take. Even some other sports like hockey are known for resulting in quite serious injuries to the teeth as the puck or ball can hit players in the face. Whilst off the shelf, ‘boil and bite’ mouthguards can help, the protection offered is minimal. For those regularly partaking in such sports, custom fitted mouthguards available from your dentist are much more effective. They are more expensive and is being used by children, will require regular replacement as the mouth changes, but can be a worthwhile investment. Aside from this, there are some other steps you can take that will help keep your teeth strong and reduce the chances of the tooth fracturing. Reduce the amount of sugar consumed be that fizzy drinks or snacks. Drink water after eating snacks to wash away and dilute the sugars. Brush and floss the teeth regularly to stop decay forming which can weaken the teeth. Have regular dental checkups to look for potential damage and asses over oral health. No matter how well you look after your teeth, by brushing properly, taking good care of them and eating the right food, accidents and life happens. Most important here is dealing with what happens most appropriately. Some damage to your teeth is more obvious than others. Whether obvious or not, you should always get any of the symptoms or concerns you have checked out. It is much better to get problems dealt with quicker, rather than them being left and developing into something more serious. Chips to the teeth common, cracks and breakages happen frequently too. We hope this article has given you more insight and understanding as to how and why such happens and the possible treatment options. Dentists would not normally consider a chipped tooth an emergency. Most chips in teeth are pain-free with no bleeding or trauma to the tooth and little or no pain. It is advisable to see a dentist soon after chipping the tooth for a professional opinion and to make sure no other damage exists, as depending on how the tooth was chipped it may cause other damage that was or is not obvious to yourself. How are chipped teeth fixed? Click here to read the section of the article dedicated to repairing chipped teeth. How to fix a chipped tooth at home? There are solutions that exist to fix a chipped tooth at home, none of which we advise getting or trying. They might be cheaper and do the job, but they are not necessarily permanent or reliable. It is always best to see a professional for fixing such damage. What to do if my baby, toddler or child chips or breaks a tooth? For the most part the steps involved with dealing with a baby, toddler or child with a broken tooth is much the same as it is for you and I as adults. However, where some adults tend not to worry and brush off damage until it causes any issue, it is very important that you get any child with tooth damage checked out. Unless appropriate this need not be an emergency appointment, but the earliest available by your dental practice. Checks will be made to the extent of any damage and considerations for treatment made. Small chips might be filed down to make them smooth, a break may be shaped or filled or the tooth removed if it is a baby tooth. Chipped tooth – what to do? Get the tooth checked over by a dental professional. This whole article goes into a lot of detail on what to do and the steps involved, but the information available here on seeing a dentist summarises what you need to know and do. Should you have had a cracked tooth yourself, why not share some feedback for others to take advantage of.